With all of the different types of faucets on the market these days, choosing just one can be overwhelming and confusing. The choices are endless – mounts, finishes, spray types, shapes, sizes, controls – and dizzying. We’re here to simplify the process, one faucet type at a time. Today we’ll address a single category: wall mount faucets. You can choose a wall mount faucet for purely aesthetic or practical purposes. Wall mount faucets save counter space (a valuable commodity), preserve sinks and counter tops (no need to drill faucet holes), and can make dishwashing more convenient with certain types of sinks, all while looking beautiful. 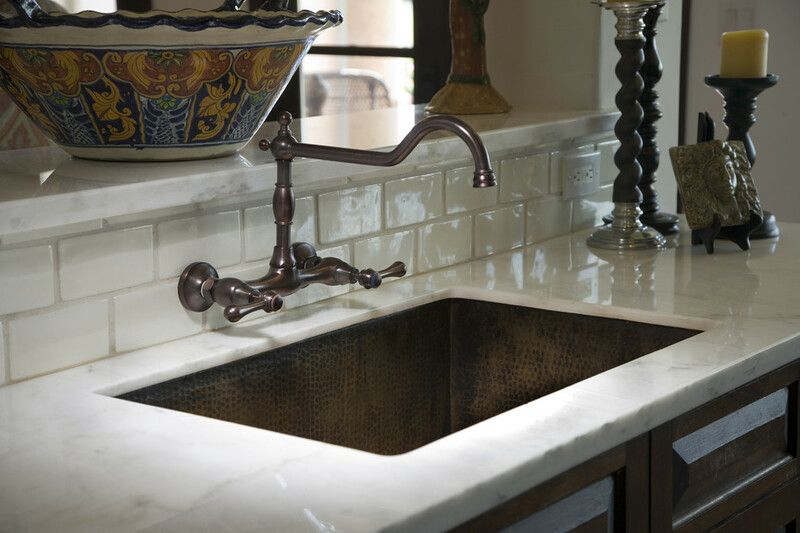 The typical wall mount faucet complements apron-front sinks, and is a necessity when you have a high-backed farmhouse sink. 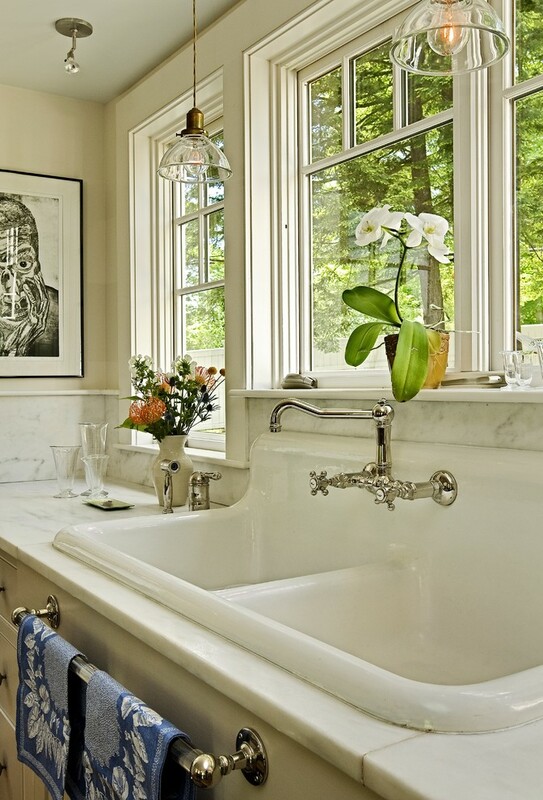 Wall mounts are excellent for shallow sinks; just mount it higher on the wall so as not to use up precious sink depth. They’re also the perfect choice for shallow counters as they don’t need any counter space, so you can have a bigger sink without worrying about where to put the faucet. But they’re no longer limited to traditional. Modern wall mount faucets are ideal for minimalist kitchens; no faucet footprint to mess up those clean lines. You may assume that wall mounts are limited to traditional stream flow, but you’d be wrong; wall mount faucets are available with sidesprays and even pulldown heads. The cons of wall mount faucets: placement can be difficult with wall studs and sink location, and it may not be possible if your kitchen wall is an exterior wall in a cold climate. 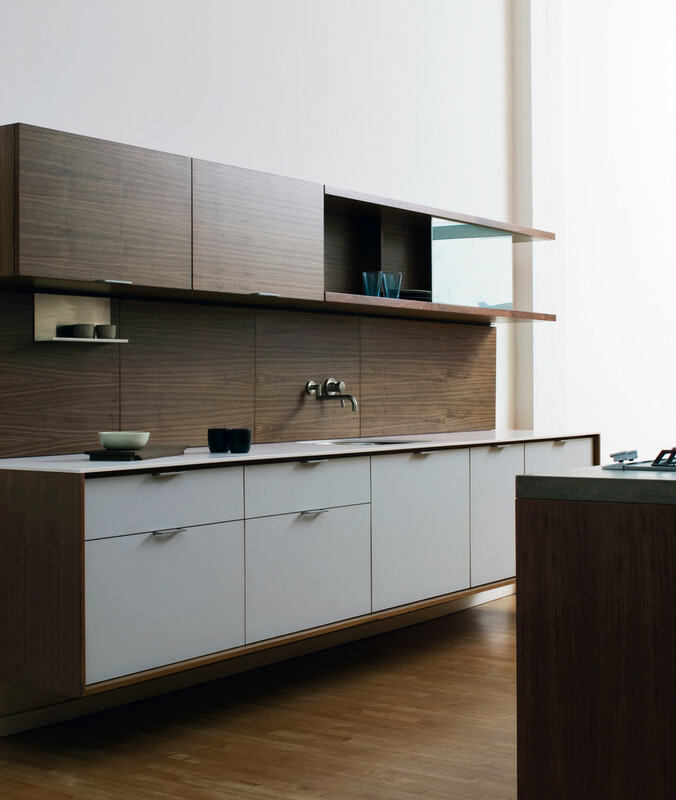 With large or double sinks, it can be difficult to find a wall mount that extends far enough for comfortable use. Make sure to find one with a long enough spout that can swivel to reach where you want it to reach. A creative solution: use a pot filler (or a faucet styled like one) as a regular faucet. Its double-jointed design allows it to go where you want it, and it folds out of the way when not in use. Do you have (or want) a wall mount faucet? Tell us why! Hi Yael, yes that sounds really true. When I was renovating my house I had changed everything including faucets and all other bathroom accessories. At that moment it was quite difficult for me to select the best design of faucets. Your blog and the types of faucets you shared look impressive and I will definitely go for one of them next time. Thanks for sharing this amazing blog! Thanks, Daniel! I hope you continue enjoying the blog. One other thought… If you want to pair a wall mount faucet with a farm sink, where the faucet fittings go throught pre-drilled holes in the sink… Make sure the faucet you choose can do this. For instance, Lefroy Brooks wall mount faucets, are made to only attach to a wall, and they sell no extra “kits” to enable you to attach to a sink. Many faucet manufacturer’s wall mount faucets come standard as being able to be installed either way. Learn from my $3,000 mistake!